Since 2002, Attorney Legnaro Akl has provided exceptional legal services in the areas of Immigration, Family and Mediation, Real Estate and Commercial law. Prior to starting her law career and then founding Ilaria M. Legnaro Akl, P.A., in 2003, Attorney Legnaro Akl gained extensive work experience in the areas of Hospitality and Gaming. Attorney Legnaro Akl served as President of Venus de Venezuela, C.A. (1995-1999), one of the then leading gaming companies in Venezuela. Attorney Legnaro Akl coordinated efforts to lobby the Venezuelan local and central government, on behalf of the hotel and gaming industries, during the passage of the first legislation on gambling institutions. She also coordinated and led the first appeal to the Supreme Court of Venezuela questioning the validity and constitutionality of certain sections of the “Law for the Control of Casinos, Bingos and Slot Machines.” She also worked for Merrill Lynch International Bank, and United Way. Attorney Legnaro Akl has extensive legal experience as well as a deep understanding of the business world, which enables her to easily navigate complex legal issues. An accomplished professional in the areas of marketing, finance, and in the hospitality and gaming industries, Attorney Legnaro Akl’s keen business sense enables her to resolve complex legal disputes effectively and with a practical approach. As a brilliant public relation specialist, she is able to bring parties together, achieving remarkable results in dispute resolution and mediation. 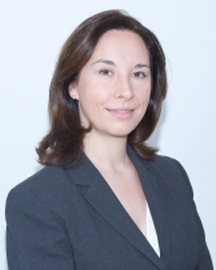 Attorney Legnaro Akl is dedicated and committed to obtaining the best possible results for her clients. Her vast business experience enables her to provide effective legal services and outstanding results. Attorney Legnaro Akl is an active member of the American Immigration Lawyers Association (AILA) and provides exceptional services in all Immigration areas. She is also a Florida Supreme Court Certified Family Law Mediator, dedicated to achieve respectful and fair resolutions in Family law disputes. Fluent in English, Italian, French, and Spanish. Copyright © 2019 Legnaro Akl Law Firm. All Rights Reserved.